Those of you who loved Whisper Walker by London Cole will be happy to hear that the second book in the series, Whisper’s Edge, is due for release in early fall 2012. I’ve heard a whisper that it may be out as early as late September. The Whisper books are a young adult dystopian paranormal series. London has been kind enough to share a sneak peek at the cover for Whisper’s Edge and also the new cover for the first book in the series, Whisper Walker. Drake and Kelsie quickly discover life won’t be quite the same after getting their new abilities, but they hope everything will settle into a sort of normalcy. It doesn’t take long for them to realize it’s not the kind of normal they were hoping for. When Kelsie joins Drake for a routine Hunt, they end up stumbling upon an underground bunker that hasn’t been opened in nearly a century. When they meet a far-too-friendly ghost, it should be their first indicator to leave things alone and get out of there. Never ones to resist the opportunity for excitement or mystery, they end up in a situation that could cost them dearly–threatening not only everything they’ve worked for, but their very lives! Drake’s world is turned upside down. A mysterious new girl seems intent on capturing his heart, but that’s not all she’s after. After turning seventeen, orphan Drake Adair discovers he can see ghosts when he falls into a pit of human remains while running for his life. What he doesn’t realize is that he’s stumbled onto his destiny. Set eighty years after World War III, Kelsie and Drake pair up to protect the only life they know in a harsh and unforgiving world. They must each come to grips with his abilities, her secrets, and their mixed feelings for each other. Will they make it? Or will the very foundations of their lives be ripped from beneath them. 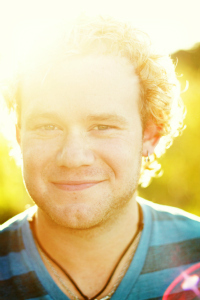 London Cole is a YA Paranormal author living in East Texas, US. When he’s not writing or outlining he can be found doing laps in his pool, playing a rock concert, or any of a variety of outdoor extreme sports. 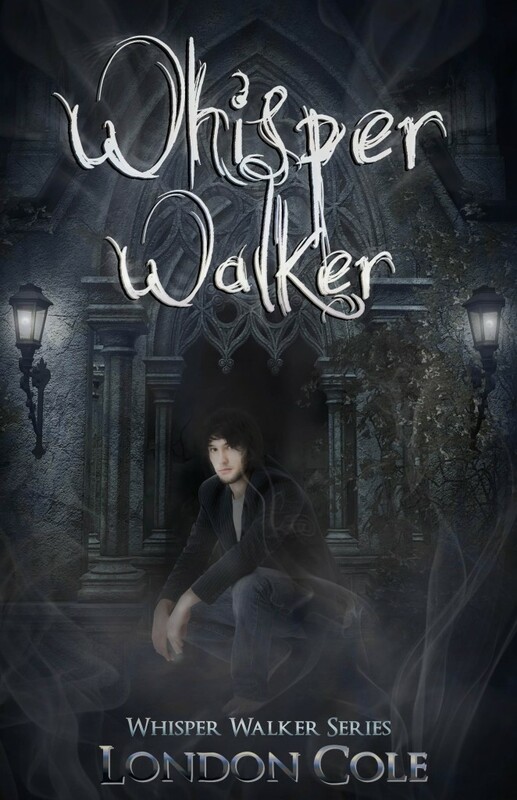 London’s debut Whisper Walker is a Dystopian Paranormal based on the island he was raised on, Whidbey Island. Only, it’s the island eighty years after the Third World War, and everything is a lot different…and a lot meaner. The followup to Whisper Walker is Whisper’s Edge and will be available in early fall 2012. Thanks for visiting, and I hope you have a wonderful day! This entry was posted in Cover Reveal and tagged cover reveal, dystopian, ebook, london cole, novella, paranormal, young adult by Pauline. Bookmark the permalink.